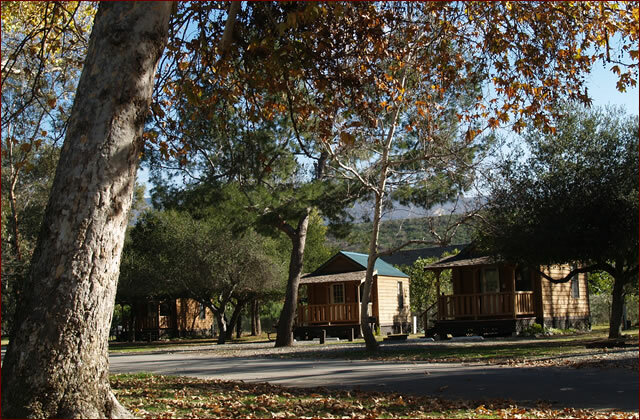 Why is it not necessary to have an RV or a camping trailer to enjoy all of the benefits that Canyon RV Park has to offer? 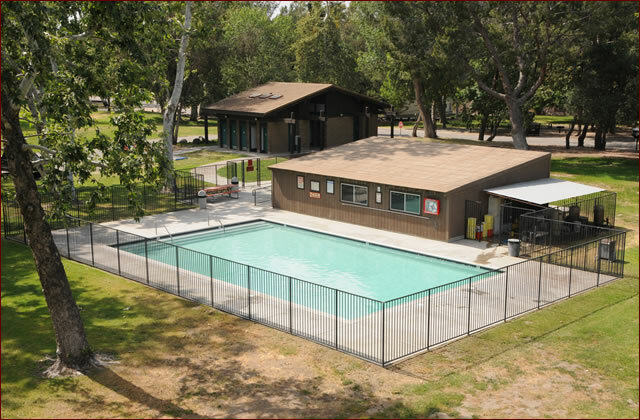 That's Easy! 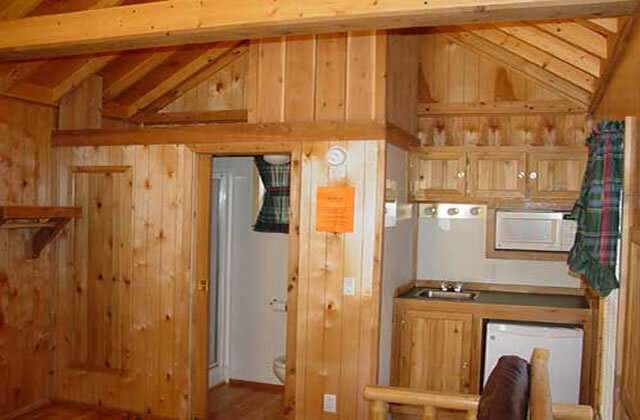 Because you can stay in one of our traditional log cabins! 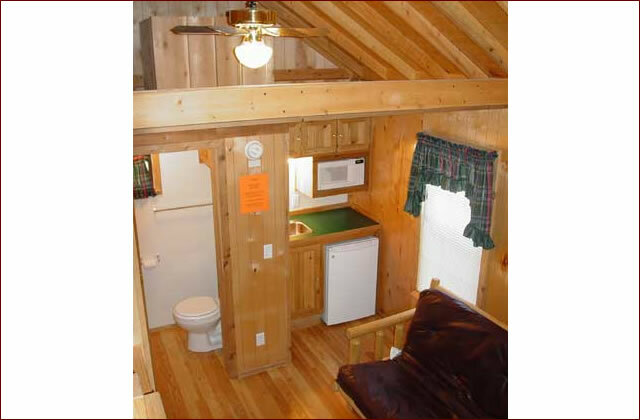 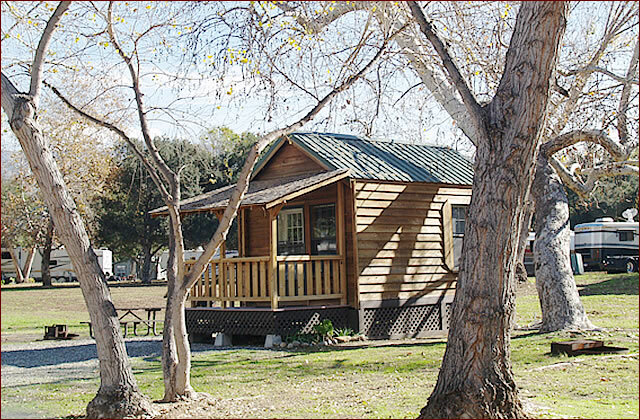 Enjoy all of the adventures of camping in your very own, fully equipped log cabin. 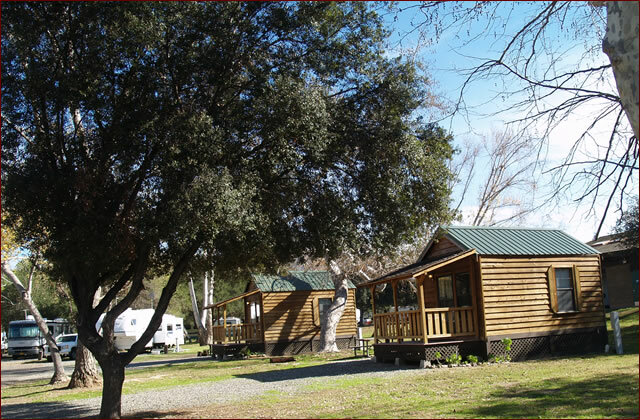 Plus, your very own fire ring, picnic table and all our park facilities. 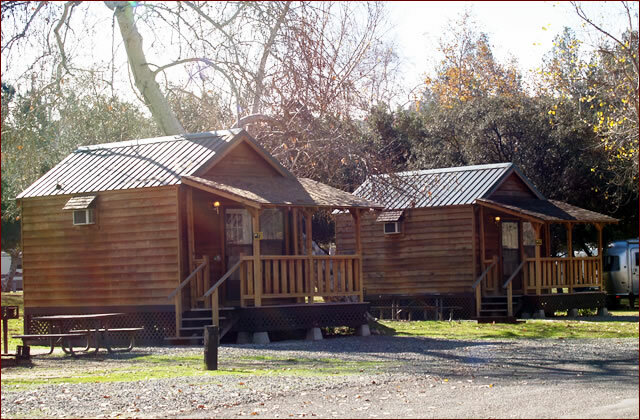 We have a total of 10 cabins and 9 of them sleep up to four people. 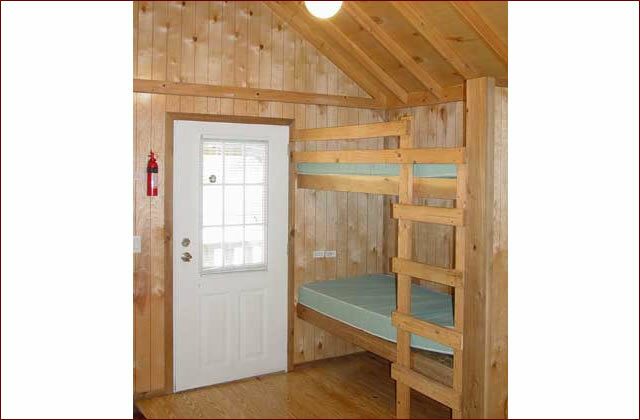 These log cabins have one set of bunk beds and a futon which folds out to the size of a double size bed. 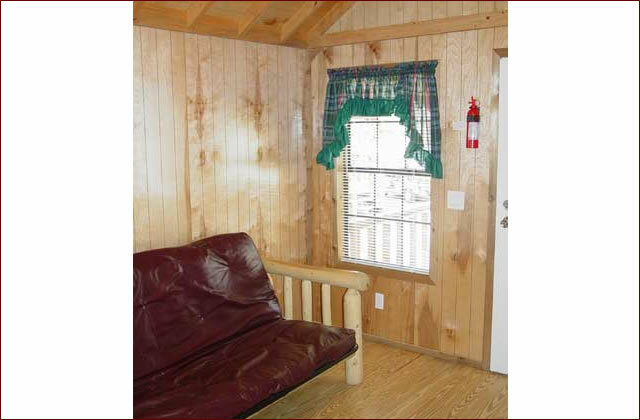 Our unique 10th log cabin is ADA compliant, has one double size bed and can sleep two people. 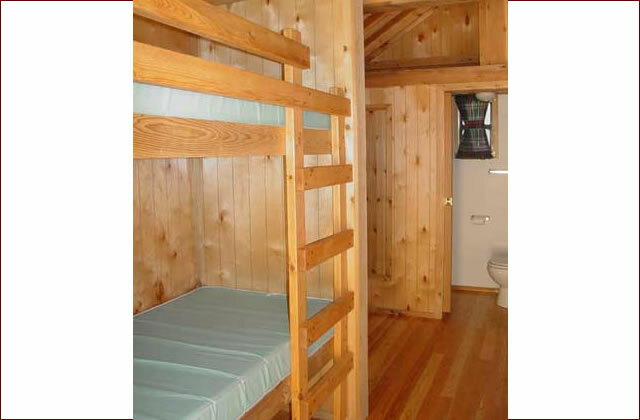 Remember, you will need to bring your own linens (bedding and bath).